There is something difficult for me about sequels for games I loved. I have a very complicated relationship with them. While I often appreciate revisiting characters or worlds that I previously enjoyed, I find that all too often the experience of playing the game seriously pales on the subsequent revisits. Sometimes if a game evolves sufficiently to feel like it's truly a new, better, version of itself, then I can get into a sequel just as deeply as a previous version. This happened with the transition from the first Assassins Creeds to the excellent Brotherhood, and from the first two Witcher games to Witcher 3. Other times, the experience feels so much like a re-tread that it leaves me cold, even if the narrative dramatically shifts (basically every other Assassins Creed game since Brotherhood, or, sorry to say, Fallout 4). It's a fine line to tread. So today I have some words on some sequels that appeared this year, that were infuriatingly close to that line for me. First up is probably the one I felt the most angst about, Dishonored 2. This was a game I should have loved. I was enthralled by the original, and if anything the game design choices in the sequel should have had me gripped. They expanded to have a second playable character, with a new and unique skill-set, and took their colonial era setting to new locations. Some of the level design was brilliant from a design point of view. Among the best designed levels of a video game I can recall . . .
. . . It actually left me cold. I didn't finish it. There was something about the formula that totally failed to reignite the feeling I had when playing the original. The original made me feel smart and offered so many solutions to challenges that it felt fresh. Here, that freedom, almost weirdly, felt forced. I felt like I started out each area smarter than the challenges presented, and the plot and characters this time around did not capture me in the same way as the original. Essentially I got bored. Yet, it's a great game. The designer in me can see that. It deserves a place on end of year lists. You should play it and decide for yourself. Sadly for me, it wasn't an installment that will live as long in my gaming memory as the original. Part of the reason why is actually highlighted by the next sequel we're going to talk about. On one level the systems and skills in Deus Ex: Mankind Divided didn't offer as many new options as Dishonored, yet felt more open. Possibly because the game allows you to play it as either an action RPG or a stealth game. I could choose when to approach a challenge either way. Dishonored was a little more of a logistics puzzle of powers and approach. Sure, you could choose lethal or non-lethal options, but being seen was almost always a harsh punishment, and you didn't turn and fight, you escaped. A true, 'run in all guns blazing' style, is never really an option in Dishonored due to the number of guards and ammo available. 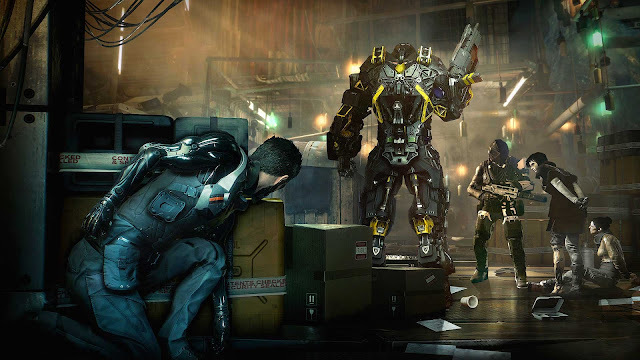 In Deus Ex I could viably decide to just knock the door in and fight my way through a level, if I wanted to. So in some ways it actually felt like it offered more freedom. The level design also merits praise here. The Prague levels in particular were amazingly well done. Once again I'm not sure I cared enough about any of the characters, or the story, but this time the tactical action carried me through. I guess I mildly disapproved of the micro-transaction skill-boosts, but I just chose to ignore them. Deus Ex I did actually finish, and had a lot more actual fun with. I feel comfortable counting it amongst the games I had the most fun with this year. It seems that, for me at least, sequels always run the risk of retreading enough of their previous successes that it just feels like playing the same game again. I don't always want to do that. 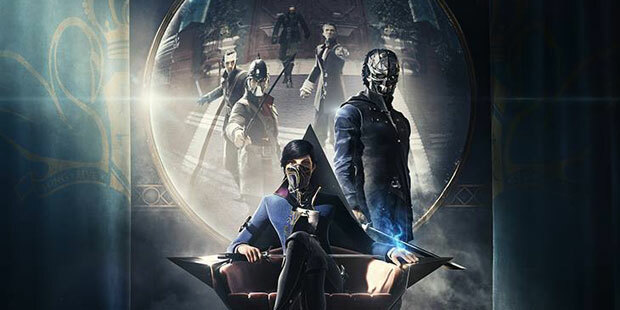 No matter how accomplished a piece of game design a sequel may be, as was the case with Dishonored 2, sometimes they simply just won't excite me because I'm yearning for a new experience, even one that possibly isn't as polished as a well worked sequel. Sequels and I have a very complicated relationship.